A dispute over a woman led to a man attacking his drinking buddy on two separate occasions. 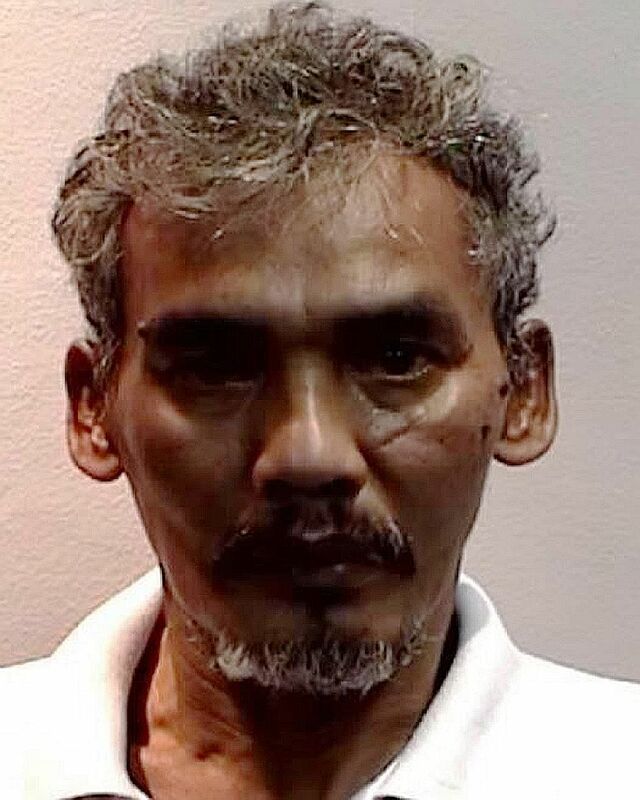 Zainudin Osman, 56, left Mr Sinen Simin, 53, with injuries including a collapsed lung and multiple fractures and lashed out at police officers who tried to break up their brawls. He was jailed for more than 21 months yesterday after pleading guilty to two counts each of using criminal force on public servants and causing grievous hurt to Mr Sinen. He also admitted to a separate count of assaulting a third public servant. The court heard that Zainudin and Mr Sinen had been drinking alcohol with friends at a pavilion near Block 95, Lorong 4 Toa Payoh on Aug 22 last year when the pair had a dispute over the latter's girlfriend at around 2am. Mr Sinen was unhappy Zainudin, who is married, kept trying to get close to the woman. An argument broke out and Zainudin began punching Mr Sinen in the face, causing him to bleed. Later Zainudin tried to get close to the woman again, and Mr Sinen hit him over the head with a bottle. In the ensuing brawl, Zainudin punched Mr Sinen to the ground. Zainudin's friend alerted the police. But when Staff Sergeant Kumaran Sandararajan told him to calm down, Zainudin pushed the 29-year-old and slapped his hand. Zainudin Osman, 56, was jailed for over 21 months for several offences, including using criminal force on public servants. Mr Sinen and Zainudin were taken to Tan Tock Seng Hospital where Mr Sinen was found to be suffering from injuries including a collapsed right lung that needed a chest tube insertion for a week, a fractured left collarbone and two broken ribs. Mr Sinen was hospitalised for two weeks - and was to end up in another fight with Zainudin on Feb 3 this year. It erupted after Mr Sinen and his girlfriend bumped into him at the void deck of Block 103, Lorong 1 Toa Payoh at around 1am. Zainudin punched and kicked Mr Sinen, breaking his nose. When officers arrived, Zainudin picked up a chair and charged at Special Constable Sergeant Lim Zhixian, 20. Separately, Zainudin also used criminal force on auxiliary police officer, Assistant Superintendent Matthew Ng Zhao Hui, 33, at the ground floor of Block 73, Lorong 4 Toa Payoh at around 7pm on March 13. He had tailed the officer after seeing him issue a summons to an offender caught smoking in a non-designated area. He challenged ASP Ng to a fight, hurled vulgarities at him and yanked the officer's arm, the court heard.